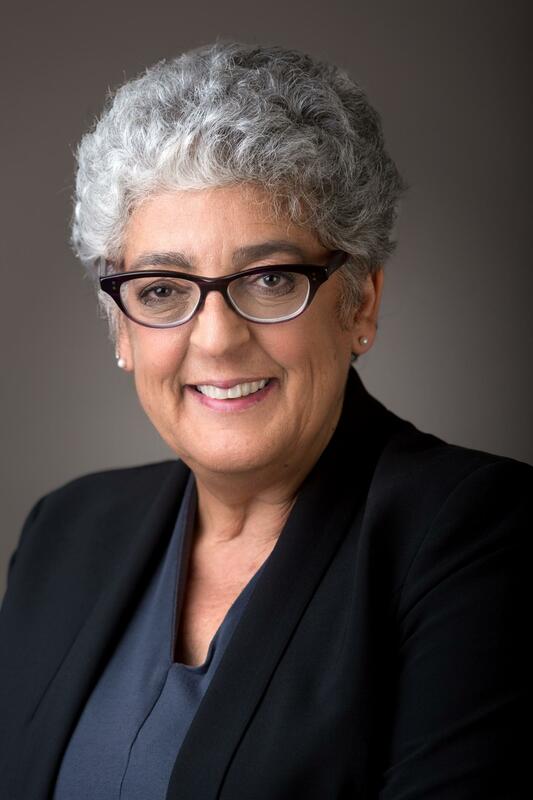 LA JOLLA–(May 10, 2018) Salk Institute scientist and professor Joanne Chory, one of the world's foremost plant biologists, who is now leading efforts to combat global warming with plant-based solutions, has been awarded a 2018 Gruber Genetics Prize by the Gruber Foundation for her "groundbreaking work in identifying the basic regulatory and biochemical mechanisms underlying the development of plants." She shares the $500,000 award with Elliot Meyerowitz of the California Institute of Technology. Chory, a Howard Hughes Medical Institute investigator and director of the Plant Molecular and Cellular Biology Laboratory at the Salk Institute for Biological Studies, is also a recipient of the 2018 Breakthrough Prize in Life Sciences. "Joanne is a trailblazer in every sense of the word," says Salk President Rusty Gage. "She has been making pioneering discoveries in the field of plant biology for more than two decades, and her deep concern for humanity is the driving force behind Salk's Harnessing Plants Initiative to address the urgent threat of climate change. She exemplifies the scientific fearlessness for which Salk scientists are known, and we are thrilled for her to be recognized with this significant prize." Chory has teamed up with other plant biologists at the Salk Institute to turn their hard-won knowledge of plant biology into practical solutions for tackling global warming, perhaps the greatest challenge facing the planet. Their recently launched Harnessing Plants Initiative hinges on developing what they've dubbed "ideal plants" to help tackle the critical and interlinked challenges of human emissions of carbon dioxide, declining agricultural yields and collapsing ecosystems. At the same time, these ideal plants will help meet the burgeoning demands of a rapidly growing human population for plant products. As part of the initiative, the Salk Institute is building a state-of-the-art climate simulation facility that will allow Chory and her colleagues to mimic climate conditions of almost anywhere on Earth. This facility will allow the team to uncover the genetic traits that plants use to survive in stressful environments so they can use that information to develop crops that can survive in more extreme conditions. A major focus of the initiative is to develop crops that are able to capture large amounts of carbon in their roots and store the carbon in the ground for long periods of time. In addition to land plants, the Salk team plans to extend their research to seagrasses, one of the other major repositories of the planet's carbon. Maintaining existing seagrass ecosystems and restoring others offers a clear-cut solution to addressing climate change. "Humanity is at a crossroads," says Chory. "In the coming decades, as the human population increases from 7 billion to 10 billion or more, we are going to put incredible pressure on the planet's ability to support us. Global warming is going to make providing for this population very difficult, if not impossible, and we desperately need ways to remove carbon from the atmosphere. Plants can be a critical part of the solution." Chory, who is the Howard H. and Maryam R. Newman Chair in Plant Biology, joined the faculty of the Salk Institute in 1988 as one of the first plant biologists at the Institute. In 2003, she was named Scientific American's Research Leader in Agriculture, and in 2016 she made Thomson Reuters' list of the World's Most Influential Scientific Minds. She is a member of the U.S. National Academy of Sciences, the German National Academy of Sciences (Leopoldina), the American Philosophical Society, the American Academy of Arts and Sciences, and is a fellow of the American Association for the Advancement of Science. She also is a foreign member of the Royal Society of London and a foreign affiliate of the French Academy of Science. The discoveries of Chory and Meyerowitz, the Gruber Foundation states, "revolutionized the field of plant molecular biology, with broad implications for global agriculture, the environment, and human health and disease."